You must make reservations at least 5 minutes in advance of the time at McCray's Tavern - Midtown. 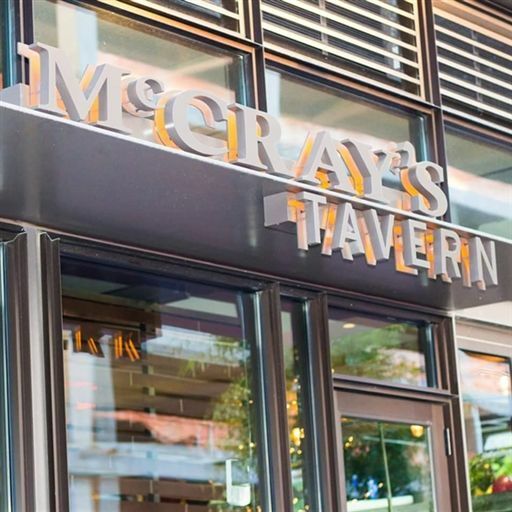 McCray’s Tavern, a favorite local hang out in Midtown Atlanta features a broad selection of entrees, from creative and mouthwatering burgers and sandwiches to huge salads and taste-tempting full entrees, in a fun, family-friendly neighborhood tavern setting. With a large beer selection that specializes in local and rare craft beers, McCray’s Tavern has redefined the classic American bar and grill. Our Midtown location features multiple flat screen TVs, a separate bar, outdoor patio, private event room, live entertainment, and daily specials. We invite you to join us for lunch, dinner and weekend brunch or to just meet your friends after work for happy hour & to watch the game! In Atlanta for Joan Baez concert. Service was quick and polite. The filet mignon was delicious and tender and cooked perfectly medium rare. Drinks were also delicious. Had lunch before a show at the Alliance theater which is a short walk away. Our only disappointment is that on a weekend, you can only order from the Brunch menu and not the regular lunch menu. My husband's Reuben was very good with very lean corned beef. I had the fried grouper sandwich, it was excellent. As was the friendly, efficient service. The "Deux Petite Filet Mignon au Poivre" entree was GREAT!! The filet was cooked a perfect medium and the sauce was excellent!! Great environment. Bottomless mimosas did it for us. Highly recommend. The steak filet with mashed potatoes and wilted greens is an excellent menu choice. The food took a little longer than normal but it was still great food & ambiance!! Usually I get great service but not on this visit. Food was great. Our waiter Mario was great. It was an extremely cold day and the heat was not on. My entire table sat the entire time with our coats on! Good food and service, definitely a midtown location I'd return to for dinner or drinks. Party-type ambiance, festive. Worth the trip, for a date night or with friends. Validated parking for 2 hours. We had a wonderful experience! It was nice outside, so we opted to sit on the 2nd level with the window open! It was just the two of us up there, but both of us agreed that it’s s nice spot for a party! He had the Tavern Dip with yummy fries salted to perfection which he said was so delicious minus the jus for dipping😊. I had a cup of gumbo (should’ve ordered a bowl😋) and a veggie flatbread pizza with marinara instead of chimichuri and it was lip smackin great!! We’ll be back for sure. Great midtown restaurant. Good menu. Nice vibe. Was disappointed in beer selection since I don’t drink bud light. This is one of my favorite taverns in the Midtown neighborhood. The food is great and service is terrific. They always have good music and strike a good balance between a sports bar and a great place for food! Great place to watch your favorite sports team while having great food and drinks. Went here with a friend after the Peach Bowl to watch Alabama in the Cotton Bowl. We made reservations which was a good idea because it was kind of crowded but great atmosphere. The food was rgreat and the service was really good. Our server was friendly and attentive even though it was crowded. When you think of a sports bar you don't always have the highest expectation for the food and we just wanted somewhere to watch the game but everything was great about this spot. I'd definitely go back whenever I'm in Atlanta. Great atmosphere to watch a football game! Lots of TVS and they aren’t a million miles away from a table! 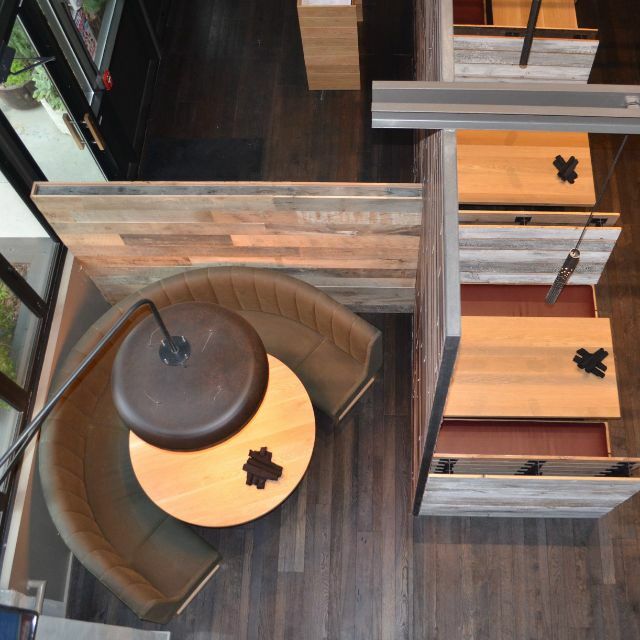 Comfortable setting,service was outstanding and the food was good. If I lived in Atlanta,I would come here to watch all the games! The pimento cheese poppers were great, best thing I ate all night. For dinner I had the brisket sliders, they were good but not great. We shared the buffalo chicken rolls, they weren't awful, but were very bland, no spiciness at all. We were a table of 4 and managed to snag this table that was in an alcove with it's own TV. It felt like we were in our own private room. Overall I'd go back, it was s decent place. Super noisy. You can't have a conversation. Server seemed to have too many tables - we did not get much attention. Great location, easy parking, great food and drinks! Overall, the location was great. The food was “so-so”, we were disappointed that we could only prefer from the late night menu. Upon booking at a specific time, that should be shared online or via the open table site. Food was good. Service was good. Beer list could have been better but that’s a matter of taste. Some food is good, some isn’t. Don’t bother with the wings. The soup and chili are really good. We went for Sunday brunch while in town visiting my son. The food was delicious and the service was great. Brisket Benedict was particularly outstanding and the Bloody Mary bar was great. Server seemed forgetful. Drinks and food came out at random times. Since a business meal some food sat for a while going cold while others waited for their food. Then the food wasn’t as ordered. Food was good pub food and our experience could’ve been just the server but she appeared to write the entire order down so it just felt odd. Always pleasant staff!! Is there an elevator to get to top floor? Would be nice to have that option. My favorite place to bring new employees for lunch! Great place to watch the Falcons and have brunch at the same time. Brought the family downtown for a night at ASO. Found this great place for a meal before the show. Great choices on the menu so everyone could find their fav food - from salads to pasta, and chicken or burgers. We mentioned that we were on the way to a show and our server made sure she checked back after the food was served to ensure that we had what we needed and had our check on a timely basis. Great service, great food. We'll definitely be back. My son and I stopped here while visiting Georgia Tech. The food was good, nothing spectacular, but I'd go back again. It's a fun atmosphere with lots of TVs for watching sports. And they had good drink specials and relatively cheap beer. I would not go here if you wanted quiet conversation. I thought the food was great once we got it the service was absolutely horrible.